Forget the traditional iconic tourist attractions. To see a whole other side to a city, check out these strange, weird, and downright creepy sights. From cockroaches to gnomes, there are attractions devoted to anything you can imagine—and things you don’t want to think about. Read on for our top 10 picks from around the world. You may have seen animal reserves before, but what about a home for garden gnomes? 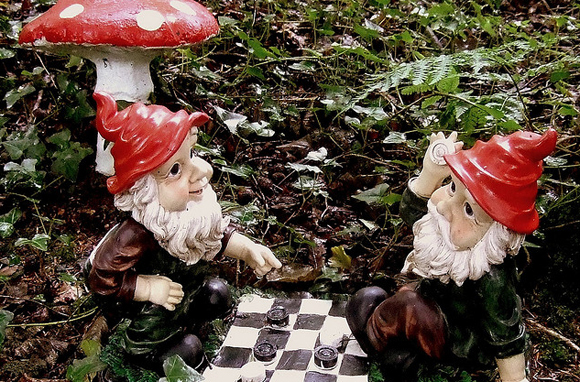 The Gnome Reserve in Devon, England, has more than 1,000 gnomes scattered free-range-style around the parkâs four acres. (The antique gnomes are confined to the on-site museum.) Visitors can pose for pictures with the statues, using the provided fishing rods and gnome hats to blend in. Dogs are welcome to visit, but they must be on leashes so they donât scare the gnomes. Go underneath the beauty of Paris—deep into the city's bowels. The Sewer Museum (Le Musee des Egouts de Paris) offers a firsthand look into the sewage system of The City of Light. Educational exhibits are located atop grated walkways, through which you can see the drain water rushing along. You will be inside a working septic system, so don't expect it to smell like a Parisian patisserie down there. 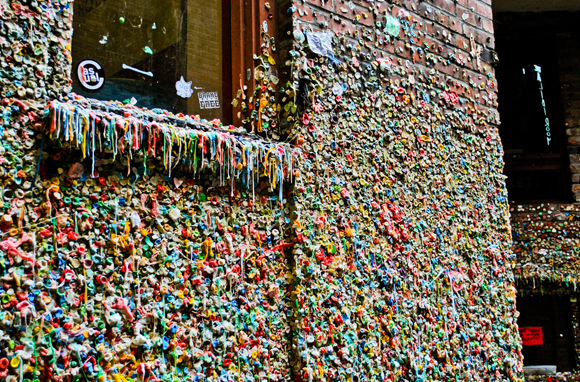 Named the second-germiest tourist attraction in the world by our sister site TripAdvisor, the Market Theater Gum Wall has been collecting germs and chewed gum since 1993. Theatergoers waiting in line for the Market Theater's box office started sticking their gum on the wall here in Post Alley (some even getting creative and molding their discarded chews into sculptures). No matter how many times it was cleaned, the collection kept coming back, so workers eventually gave up trying to clean off the wall, instead embracing the gum and turning the wall into an official attraction. Wish you could relive the good old days of the Soviet Union? In Lithuania people pay good money to experience the terror of the era in an actual former Soviet bunker at 1984: Isvgyvenimo Drama. First, you'll sign a waiver to acknowledge that "in case of disobedience participants may receive psychological or/and physical punishments." Once you've signed your life into the hands of reenactors, you'll shed your cell phone and any connections to the present day and head inside the bunker. Inside, guests are fully immersed in the role of Soviet citizens in the year 1984 and interrogated by KGB officers (actors) with dogs (real-life police canines); plus, they are forced to don gas masks, learn the anthem of the USSR, dance to the music of the era, and dine on a typical Soviet dinner. It's not uncommon for visitors to pass out during the intense scenes and interrogations. Deep within a labyrinth of canals in Mexico lies possibly the world's creepiest island—Isla de las Munecas. To get to the "Island of the Dolls," you'll have to hire a trajinera, a special wooden boat that can navigate the canals, and the trip will take you around two hours each way. You'll be greeted by hundreds of dolls, some rotted and moldy, some hanging from trees, and some that now have insect nests in place of limbs. Local legend has it that a hermit isolated himself on this isle, and that the man claimed to be haunted by a girl who had drowned in the canal. To appease her spirit, he began collecting dolls and hanging them around the island. The hermit supposedly died in 2001 in the same way as the girl—by drowning in the canal. Musophobes (those afraid of mice and rats) should avoid this temple at all costs. The Karni Mata Temple in India is a Hindu shrine built to honor the rat goddess of the same name. Worshippers believe that souls of the goddess' devotees are reincarnated as rodents, so all of the 20,000 rats that live in the temple are considered sacred. Watch your step in here—if a rat is killed, it must be replaced with a gold or silver statue. Besides, having a rat run over your feet in the temple is considered good luck (and no shoes are allowed inside). Deep in the dark cavern underneath a pottery store lie thousands of disembodied locks of hair. Turkish potter Chez Galip runs a museum dedicated to women's tresses underneath his shop, and he's collected more than 16,000 pieces of hair, all tagged with the addresses of their owners. Leave your own contribution when you visit—twice each year, a visitor gets to choose 10 lucky hair donors to stay in Gillipâs guesthouse and take pottery workshops for free. After the Soviet Union fell in 1991, the statues of Lenin, Marx, and Stalin went down with it. Rather than be destroyed, though, some of these monuments were saved and put on display in Memento Park Budapest. Here you can see salvaged statues as well as replicas of former monuments. To add to the eeriness, there's also a replica of Stalin's former parade-watching grandstand, a mock central square (to represent the real-life squares where many uprisings took place across the region), and statues carved out of granite taken from a Nazi concentration camp. You can even catch a movie here: The Life of an Agent is a montage of Soviet-era training films that will teach you how to plant bugs and recruit spies. Pest-control specialist Michael Bohdan decided he wanted to make people smile instead of scream for once when they saw a cockroach—so he created the Cockroach Hall of Fame. The museum features cockroach corpses dressed in costumes and posed inside tiny elaborate sets. The museum delights in bug-related puns—like the Liberoachi playing a piano and a glamorous Marilyn Monroach. If you didn't lose your appetite looking at the exhibits, try the museum's dried roach-larvae barbecue-flavored snacks. Fool all your Facebook friends into thinking that you were on an English vacation with a stop at this Virginia attraction. 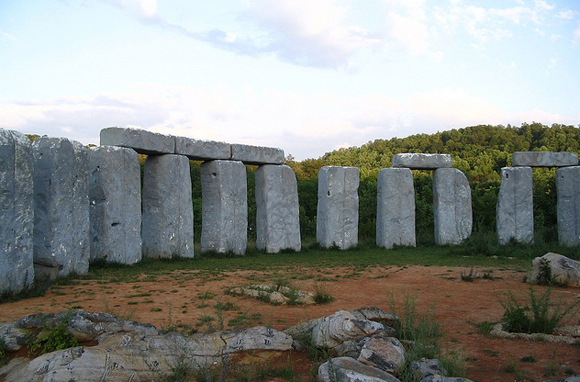 Foamhenge is exactly what the name implies: a full-size replica of Stongehenge made out of Styrofoam. Originally built as an April Fool's Day prank in 2004, this fake wonder attracts visitors year-round. Stop by if you're in Natural Bridge—the exhibit is free and makes for a great photo op.